We are delighted to welcome mystery author Janie Chodosh to Omnimystery News today. Janie's debut novel is Death Spiral (The Poisoned Pencil; April 2014 trade paperback), the first book from Poisoned Pen Press's new young adult imprint. We recently had the chance to catch up with Janie to talk about her new book. Omnimystery News: Death Spiral is subtitled "A Faith Flores Science Mystery" suggesting it is the first in a series. While you were writing it, was it always your intention to have the characters return in later books? Janie Chodosh: I did not start off writing with a series in mind. Death Spiral was meant to be a stand alone, but when my editor suggested a series, I loved the idea. What I am especially enjoying about writing this series is developing the arc of the main characters over several books. In no way do I expect my characters to stay the same. Faith, the protagonist, is sixteen-years-old. She has never known her father, and her mother, who died six weeks before the book starts, was a heroin addict. Although Faith is resourceful and grounded, she has deep-rooted insecurities and issues around trust and closeness. And of course Faith is a teenager, which by nature means change. Then there's Jesse, Faith's maybe love interest, who has his own battles largely with Doc squared, his overbearing MD/PhD father. So there is a lot of material to work with in terms of character arc, relationship development, and questions of growing identity, inherent to being a teen. 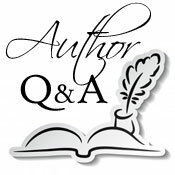 JC: I love this question because my writing desk is currently one of my favorite places in the world. I live in Santa Fe, New Mexico, a high desert, so having mature deciduous trees in your yard is rare, however my house sits at the edge of an arroyo (a dry river bed) and our property is lined by tall elm trees. Although these trees are not native and are actually quite invasive, they provide fabulous shade and habitat for birds. My second floor writing space looks out directly over these trees. I spend a lot of my blocked moments watching birds zip by, and I've witnessed some phenomenal acts of avian natural history, including a pair of nesting hawks catching and eating their dinner. Natural history shows up in all my books, so if nothing else, my view of the treetops provides inspiration. I also love my desk because it is a long, spacious L-shape design with plenty of room for all my notes and research without seeming cluttered. Plus my husband built it for me, so the space comes with love. OMN: Science plays a big part in Death Spiral. How did you go about researching the plot points? Were there any particularly challenging topics for you? JC: It is not by accident that genetics plays a strong role in Death Spiral. My husband is a PhD geneticist, and he has worked in the field for over twenty years. He is my number one source of information, and he helped me with many of the ideas in book one. Genetics is the forefront of modern biology and the field is changing and evolving at an amazing pace, so getting a glimpse into this world has been the most exciting part of my research. I do use the Internet too for research, but the Internet can be such a time drain; one thing leads to another and I might've started off with a question about RNA transcription and somehow, an hour later, I'm reading about elephants in Kenya. The most challenging topics to research have been related to the actual forensic process of death reports, death certificates, and autopsies. Although there is a great deal of information about this in books and on the Internet, the specific details and nuances are not always easy to find. I've discovered that if I have a specific question, the Internet is best used as a phone book: find a number and call someone. OMN: If you could travel anywhere in the world, all expenses paid, to research a setting, where would it be? JC: Book three in this series will take place in Mexico, so going to Mexico is the obvious answer. I've been to Mexico several times, twice for long stays in the state of Oaxaca where I did my master's degree thesis. But Mexico is a large country with so many different cultural groups and ecosystems. One could spend a lifetime there exploring. I would take my expense paid vacation and travel to the tropical, shade coffee growing regions of Veracruz or Chiapas. I am very interested in the shade coffee growing regions of Mexico for two reasons. The first reason is that I love tropical ecology. Shade coffee is grown in the higher altitude cloud forest regions, and the forest-like structure of shade coffee farms provides habitat for a great number of species. Second, I am interested in the agricultural implications of shade coffee for ecosystem protection, for fair trade, and for economic opportunities for indigenous and small farmers. After crude oil, coffee is the most commonly sought commodity in the world. Coffee farms provide a livelihood for over 25 million people in the world and 67% of coffee is grown in the Americas. So, Faith Flores, on a journey that involves a personal mission related to her identity, will end up in Mexico in book three. Coffee growing will play a part in the mystery. I would love to spend a month in Mexico living with, or near to, an indigenous community, and gaining first hand knowledge of the life of a coffee farmer, the kind of information definitely not found on the Internet. My dream is to write a beautiful, engaging, and suspenseful mystery that, while being a great read, brings knowledge of the interconnection between the products we consume and the lives of the people who produce those products for us. OMN: What are some of your outside interests or hobbies? JC: I have far more hobbies than I have time for. Most of my main interests are related to the outdoors. I love both the quiet moments of observing nature, watching birds, taking hikes, native plant gardening, and relaxing under a tree, to the more adrenaline fueled moments of rock climbing, cycling, and skiing. I lived in Yosemite National Park for four years in my early twenties where I worked as a naturalist and an outdoor educator. I learned to entertain myself with nothing more than a field guide and a pair of binoculars. I also spent a lot of vertical time, hanging off rocks hundreds, if not thousands, of feet above the ground! I still love to climb, though I have less time these days. I also love to travel, read, study violin (I am a beginner, just past the stage where you need ear plugs), play with my dogs, and above all, hang out with my nine-year-old daughter who can turn an ordinary activity, such as a dog walk, into an adventure. OMN: Death Spiral was just published this week, so you probably haven't heard much from readers yet. JC: True, I have not had a lot of time to receive feedback and questions. Having said that, so far the most meaningful comment came from a mother of a fourteen-year-old who said her daughter loved the book so much she was starting a book club at her school and Death Spiral was their first pick. I also was invited to participate as one of thirty authors as a "literary hero" at a large fundraiser for the Santa Fe Public Schools and the Santa Fe School for the Arts and Sciences. Being able to support education means a lot to me, so this was a great honor. OMN: Have any specific authors influenced what and how your write today? JC: The first young adult author I read as an adult was Sarah Dessen. Her writing gave me a real understanding of the depth a young adult writer could go into. She has great characters and is quite a prolific writer. I then started reading other YA author superstars such as John Green, Laurie Halse Anderson, Sara Zarr, and K.L Going. Mostly I read realistic YA, but I do enjoy an occasional dystopian or quirky story, such as Going Bovine by Libba Bray. OMN: What kinds of books do you read today? JC: I both read and listen to books for pleasure. These days I don't go anywhere without an audio book. I love magical realism. Isabel Allende is one of my favorite authors. I guess I would mostly define what I read for pleasure as literary fiction. I recently listened to The Thousand Autumns of Jacob de Zoot and The Goldfinch. I loved Nicole Krauss's The History of Love, which made me laugh and cry, sometimes on the same page. Of course, I read a lot of young adult fiction, and I've already mentioned some of my favorite authors (above). OMN: Do you have any favorite literary characters? JC: Scout from To Kill a Mockingbird is one of my favorite characters, and To Kill a Mockingbird is one my favorite books. I don't usually read a book more than once, but I think I've read To Kill a Mockingbird five times. I love Scout's mix of tomboy grit, innocent stubbornness, and determination. Recently I fell in love with Augustus Waters from The Fault in Our Stars. I love free-spirited Janie Crawford from Zora Neale Hurston's Their Eyes Were Watching God. One thing all these characters have in common is a desire to create their own destiny and not to follow established rules and protocols. I guess this says as much about me as about them. I've never been that great at following rules. JC: I hope to keep writing and to keep selling books. I will write a few more books in the Faith Flores Science Mystery Series. After that, I have a humorous middle-grade manuscript I hope to sell and two more young adult novels in the works. Besides writing, I have my hobbies to keep me busy! Janie Chodosh is a scientist wannabe and a naturalist. Janie has spent the last decade teaching high school English and middle school science. When not writing or obsessing about writing, Janie can be found with her family in various outdoor pursuits including bird watching, rock climbing, or trying to grow a garden in the arid southwest. She lives in Santa Fe, New Mexico, with her daughter, stepson, and husband. For more information about the author and her work, please visit her website at JanieChodosh.com or find her on Facebook and Twitter. When loner Faith Flores finds her mother dead of an apparent overdose, she refuses to believe that's the case. Sure, her mom made some bad decisions, but leaving her daughter would never be one of them. Unfortunately, the cops are all too eager to close the case and move on, sending a distraught and unsatisfied Faith to live with her Aunt T in the suburbs of Philadelphia. But a note from Melinda, her mom's junkie friend, prompts Faith to begin digging, igniting her passion in science and her need for answers. Faith soon discovers Melinda and her mother had participated in an experimental clinical trial to treat heroin addiction. Then Melinda also turns up dead from an apparent overdose. Now Faith is pulling out all the stops in her search for truth, cutting school, lying to her aunt, her best friend, even the police. The only person she can't lie to is new boy Jesse, whose brutal honesty is a welcome respite from the mountain of misinformation uncovered by her investigation. Faith's investigation takes her through the myriad back alleys and laboratories of Philly, all the way to one of the most powerful scientists in town. But when the medical examiner's body is found in the Schuylkill River, Faith realizes if she doesn't find who's behind the sinister science and its cover-up, she could be next.